Hachette España’s origins date back to the year 1959 when Germán Sánchez Ruipérez founded Ediciones Anaya in Salamanca, specializing in school textbooks. Over the years, the publishing house expanded its activities through the acquisition and startup of various companies such as Cátedra and Alianza, focused on literature and the humanities, and Pirámide and Tecnos, targeting university-level and professional readers. This growth continued with the launch of additional businesses and imprints across the various Spanish regions, in keeping with the Group’s commitment to support the country’s multilingual landscape. The Group, which joined Hachette Livre in 2004, now includes some twenty imprints and has pursued its international expansion in Latin America, especially in Mexico. With some 2,600 new titles published in 2017, Hachette España is a leader in the textbook market and remains a major player in the general fiction and nonfiction category. Anaya Educación is a leading educational publisher. In 2017, it focused on innovation and launched two interesting preschool education projects on the market: Lunares y Púas, a constructivist approach for 0-3 year olds that lays a solid theoretical foundation, and the Retos task-based approach for the 3-5 age group which applies the best innovative and traditional teaching methods. Also in the infant and primary education sector, Anaya Educación has published the Ajeduca chess book series which promotes and facilitates the teaching of this new subject. It has also added to its Método ABN series with books that build on this math learning system. Digital versions of all these new products, together with many motivating interactive resources, are available on the website and accessible exclusively to registered users. Anaya Educación has also broadened its catalogue with the publication of stimulating supplementary material as well as the Tiralíne as collection which provides teachers with an analysis of the educational universe and a compendium of methodological strategies to help them improve the teaching and learning process. Anaya ELE (Español Lengua Extranjera) specializes in Spanish as a foreign language and publishes benchmark language-learning methods such as the NeuvoSueña, Método Anaya ELE, Curso Intensivoand NuevoMañana, along with a collection of bilingual glossaries, adaptations of classics and creative reading material, in addition to Anaya ELE EN, a series of books devoted to fundamental language learning skills such as grammar, vocabulary, phonetics, writing, verb usage and spelling, which is also available in digital format. Its publications help to ensure that Spanish remains a popular international language. Algaida Editores publishes a remarkable array of literature for children as well as poetry and fiction for adults in Spanish. It publishes winners of major literary prizes. El mapa del tiempo (The Map of Time) was translated in more than 30 countries and won the Ateneo Prize. In 2017, Nunca es tarde by Jerónimo Tristantewon the same prize and generated a great deal of interest. Algaida is a leading publisher of new talent. Algaida Editores is the national market leader in educational publishing for children from birth to age five. The global projects Pompas de Jabón, for 3-5 year olds,El circo de Pampito and, the most recent, La granja de Nito, both aimed at children from birth to age three, continue to be warmly received among preschool teachers. In addition, complementary teaching materials for literacy, graphomotor skills, English and mathematics, as well as workbooks for the ¡Me interesa! projects cover the full spectrum of requirements and work areas. Algaida’s textbooks for the Baccalaureate and secondary school education also continue to be warmly received and steadily gain market share. Barcanova is the leading imprint in the market for educational content in Catalan. The publisher’s competitive edge lies in its emphasis on innovative solutions based on methods that really make a difference in the classroom as well as more meaningful ways for students to learn, accompanied by hands-on resources. Specializing in Catalan-language publications has enabled Barcanova to build one of the most comprehensive backlists for specialists in this area. The materials are suitable for all ages from preschoolers to adult learners. The imprint’s catalogue of children’s and young adult literature maintains its original philosophy of promoting reading and creativity. The emphasis is on publications aimed at the youngest readers as well as on adaptations of the classics. Edelsa specializes in Spanish as a foreign language (SFL), with a wide range of content aimed at children, teens and adults. It is the market leader in SFL with titles such as Vente, Colega, ¿Español?, ¡Por supuesto! and Preparación a los Diplomas oficiales de español (DELE). All the manuals come with an ebook and the website offers a vast array of complementary materials for teachers as well as students. 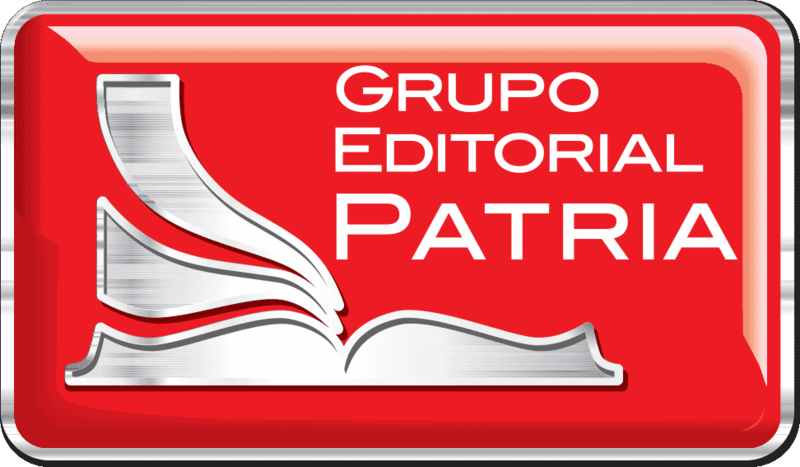 Editorial Patria was founded more than 80 years ago and over time has integrated other prestigious imprints such as Publicaciones Cultural, CECSA, Nueva Imagen and Promexa. Its catalogue includes educational books that range from preschool to university level as well as professional reference and general interest books. To meet the new challenges facing Mexico’s educational system, it publishes titles in both physical and digital formats, along with online university resources for students and teachers, updated in line with the current study programs. Bruño is a reference in academic publishing. In 2017, it published the new textbooks for middle school students (ESO compulsory secondary education) in the autonomous community of Andalusia, completing the implementation of the Ley Orgánica de Mejora de la Calidad Educativa (Law for Improving the Quality of Education) in the region. Bruño is in the process of updating all the non-curricular materials that make up the Lectura Eficazseries, with new resources to boost reading skills. In parallel, it is developing the Haleo software application which helps teachers to manage in-class reading activities (developing visual ability, resources to inspire reading and tests). It has updated the Objetivo Aprobar series which aims to reinforce and consolidate essential content and standards in secondary education, with a focus on diversity. The series has continued to sell well in recent years. In 1988, Bruño began developing its lists to include children’s and young adult literature. It publishes a number of prestigious classic and contemporary authors in this area, and many titles have won major literary awards. Successes include Kika Superbruja, Junie B. Jones, Tom Gates, Las divertidas aventuras de las letras, Así es mi corazón and Billie B. Brown. Some have sold more than 6 million copies. Anaya Infantil y Juvenil publishes children’s fiction for all ages (picture books, children’s literature, Spanish and universal classics, teen fiction) as well as leisure and educational books. The quality of its publications has garnered many national and international awards. Series such as Sopa de Libros, El Duende Verde (The Green Goblin), Pizca de Sal and Clásicos a Medida are among the most widely recommended by teachers, who have access to a wide range of reading programs and resources to inspire in-class reading. In addition to its array of printed materials, the company also has an extensive digital offer, including illustrated books and fiction. Anaya Touring publishes books specializing in travel, leisure and tourism. Its collections have become must-have reference guides thanks to the accuracy of the information, the abundance of data and the clarity of the maps provided, as well as offering different options for each type of traveler and style of trip. There are currently 13 collections, including Guiarama,Total, Trotamundos-Routard, Camino de Santiago, Cuadernos de Viaje, Viva, Mapas Touring and Inspiración Viajera, with the addition of Viajes en Tren this year. In 2013, it began to offer mobile apps. Vox is a leading Spanish publisher of dictionaries and a reference for educational and language study books. Its content is marketed in a wide range of media to countries all over the world. Vox publishes works for readers of all ages in all the official languages of Spain as well as specialized dictionaries. It features the market’s widest range of bilingual dictionaries with an offering that spans 11 languages. The company is currently diversifying its list to include scientific books for the general public, activity books to support language learning and children’s books. 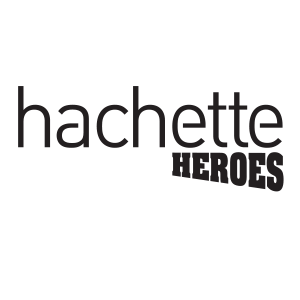 Hachette Heroes publishes iconic pop culture titles that form part of the modern collective imagination, related to films (Star Wars), animation (Disney), comics and geek culture. Its greatest strength is the diversity of its offering, from books that use CGI technology to kirigami, adult coloring books and cookbooks that bring to life the characters and scenes from the reader’s favorite movies or comics. In 2018, Hachette Heroes will be expanding its offer with new products for the children’s market in conjunction with Disney. Salvat’s backlist includes such popular comic book series as Titeuf and Asterix, featuring two of the world’s best-known comic book characters. The Spanish translations have sold 2 million copies over the past seven years. Larousse has been present in Spain since 1912, the year it launched its first edition of El Pequeño Larousse Ilustrado. Over the decades, its commitment to providing information has made Larousse a benchmark of knowledge and learning in homes, schools and libraries. The current list is the result of the publisher’s history and drive to keep up with the times. Without abandoning the reference and informative genres, Larousse has built up a range of illustrated books on a wide variety of themes ranging from gastronomy, gardening, astronomy and crafts to culture, historical atlases and children’s literature. 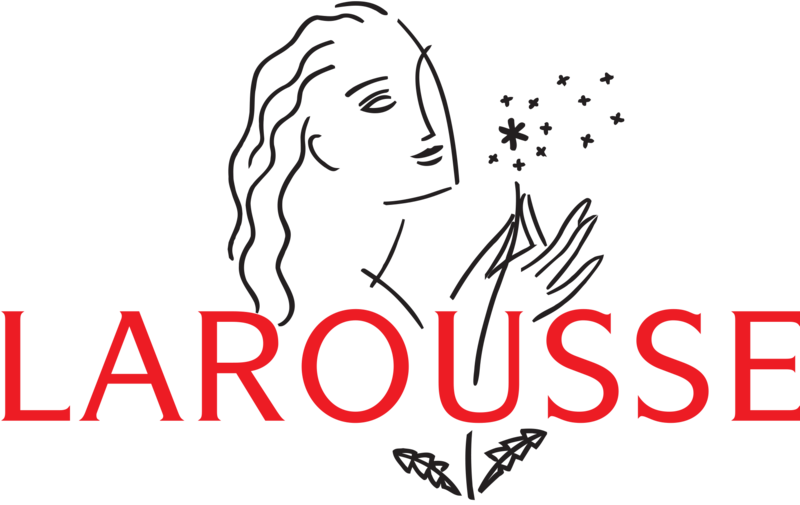 In keeping with the latest trends and yet with the same rigorous approach, Larousse has expanded its focus to reach an ever broader and more universal audience. Ediciones Larousse in Mexico aims to foster the development of culture and knowledge by publishing and marketing content to all parts of Latin America, while maintaining its leadership position in the publication and distribution of informational, cultural and knowledge-enriching content. Its mission is to become one of the largest publishing groups in Mexico. The imprint has more than a million followers on social media and is a language-use reference for use of language for users of all ages. Larousse Mexico is known particularly for its quality food and cooking publications, with the launch of Grandes chefs Mexicanos which brings together leading figures from the world of gastronomy; as well as La senda del cabrito, a book about goat kid meat in Mexican culinary tradition, which won the Caniem 2017 Premio al Arte Editorial. In general interest, the publication of La Guía del caballero actual confirms the imprint’s commitment to cutting-edge publications. Anaya Multimedia is the top Spanish publisher of works dealing with technology and photography. It offers an extensive range of titles, including publications about mobile systems or social media and its multiple applications. Under the PhotoClub imprint, it has also launched a new and flourishing publishing venture focusing on the technical and artistic aspects of photography and involving the best-known authors in the field. With the Oberon imprint, the publisher has launched a new line aimed at the consumer market, which has been very well received by readers and has produced a significant number of bestsellers.Anaya Multimedia is compiling its digital catalogue, with titles that lend themselves to this format due to their themes and authors (well-known bloggers and technology influencers). Ediciones Pirámide publishes books of interest to the business and academic communities as well as the general public. These include printed and digital academic, reference and personal development books related to economics and business administration, psychology, education and science. Tecnos currently publishes 12 collections covering law and legislation, philosophy, sociology, politics and classic works of thought from all periods of history. Its university textbook and legal texts collections (BUET/BTL) are the leading publications in their respective markets in Spain. 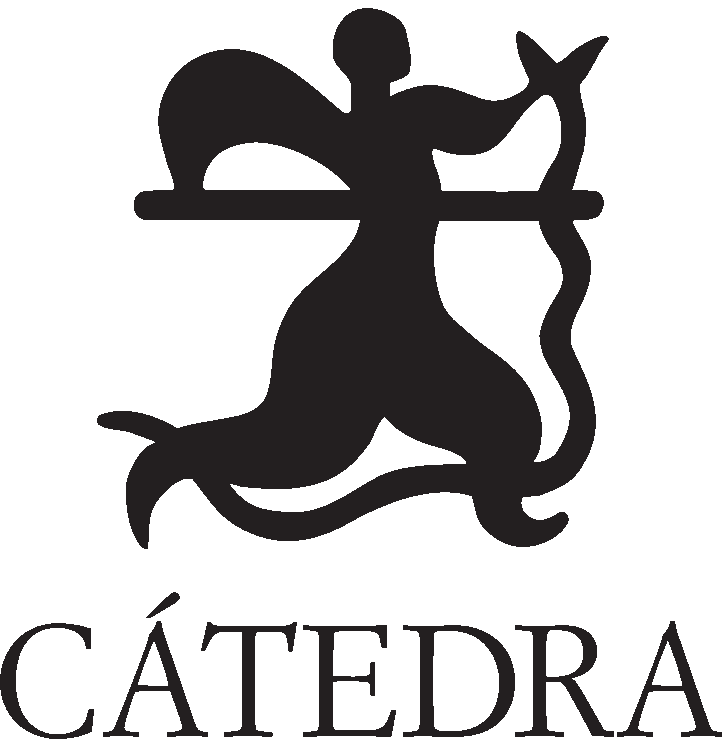 Cátedra is the top-ranking publisher of annotated classics with its Letras Hispánicas and Letras Universalesseries. It also publishes books on linguistics, literary analysis and criticism as well as philosophy, art, history and cinema (some of which are illustrated). Cátedra also offers digital versions of its new releases and backlist titles. Alianza Editorial has a comprehensive catalogue that offers books on a wide variety of topics and in a number of different formats. Its paperback collection El libro de bolsillo is most highly reputed for its Bibliotecas de Autor series, with titles written by authors from the Spanish-speaking world as well as international authors, such as Salinger, Golding, Kafka, Brecht, Schopenhauer, Freud and Mishima. Alianza also publishes contemporary fiction and works of fantasy and science fiction by authors like Joe Abercrombie and detective novels by internationally known, prizewinning writers. Its nonfiction catalogue includes works geared to both the academic community and the general public; it publishes timely books on national and international topics, as well as coffee table books and cookbooks. Alianza has a varied digital offer that includes new essays and literature as well as a select number of its backlist titles. AdN Alianza de Novelas is a contemporary fiction imprint launched in 2016 that is aimed at a broad readership and designed to offer a wide range of genres and authors. AdN launched with star author Michael Connelly and has already published three of his novels: The Crossing, The Burning Room and The Wrong Side of Goodbye. Two further titles are planned for release in 2018. Also in the thriller genre is Tana French with The Trespasser, and the international bestselling author B.A. Paris with Behind Closed Doors and The Breakdown. In contemporary literature, AdN now publishes writers as important as Ann Patchett with Commonwealth, Terry McMillan with I Almost Forgot About You and Adam Haslett with Imagine Me Gone.They will be joined in 2018 by others such as Sebastian Barry, winner of the Costa Book of the Year Award for Days Without End, and Maria Semple with her successful novel Today Will Be Different. AdN also publishes Latin American writers, including the Cuban Ronaldo Menéndez and the popular Spanish screenwriter Juan Herrera. Bóveda began as a specialist publisher of historical texts with a focus on and religious conspiracies, but in recent years has begun to publish women’s fiction and detective novels as well. It publishes mainly international bestselling authors including Christian Cameron, Tom Harper and Kimberly Freeman. It also publishes illustrated children's books, ranging from traditional stories from all periods to the latest works of Tim Collins. In 2016, Bóveda took over the titles previously published in the Algaida Inter collection, with renowned international fiction writers such as Andrea H. Japp, Mark Billingham and Catrin Collier. Notable titles published in 2017 include The Swans of Fifth Avenue by Melanie Benjamin and Their Finest Hour and a Half by Lissa Evans. Xerais, the Group’s representative in Galicia, publishes textbooks, poetry, plays, essays, children’s and young adult literature, dictionaries and a wide range of other books of interest to the general public in Galician. Galician writers are strongly represented in its catalogue, which includes the works of Manuel Rivas.Xerais expanded its list of digital titles to 370 in 2017.